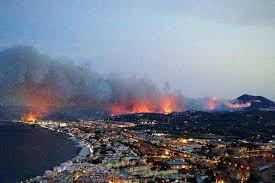 The Ayuntamiento of Xàbia have approved their forest fire prevention plan, in a meeting held last week. In an unanimous vote, the local authorities highlighted areas of concern and when local restrictions could be put in place. They also announced training for locals in fire prevention. Those courses will take place on Thursday, July 5 at 10:30 a.m. in the Pinosol Park and on Wednesday 11 at 10:30 a.m. in the Balcón al Mar fire station.